description A half-length portrait of a young, dark-haired woman, seen in three quarter face view with her head turned slightly to the right. She wears a white shift and is propped up against her pillow in a brass bed, partially covered by a sheet and blanket. 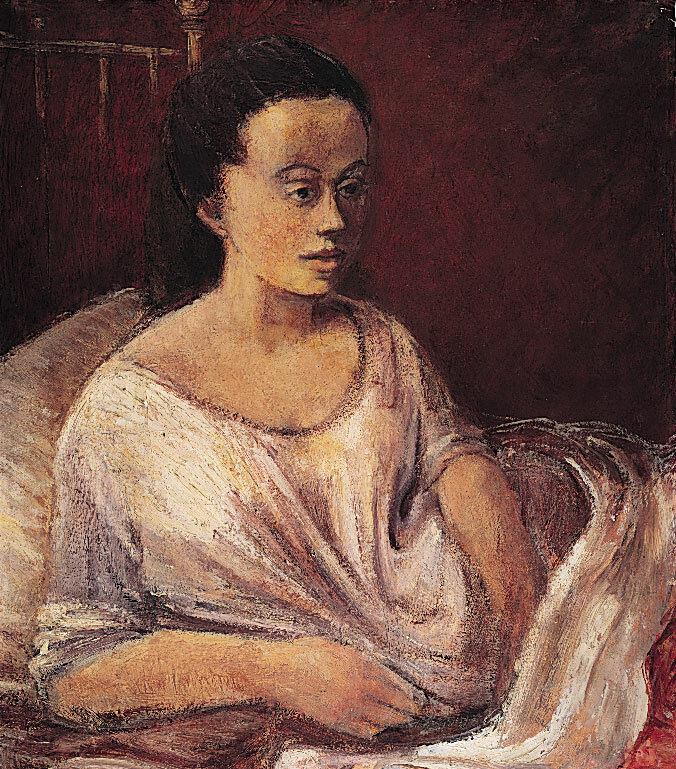 The pink, peachy flesh tones of her skin are echoed in the nightdress, pillow and bed sheets in contrast to the darker red umber of the background. 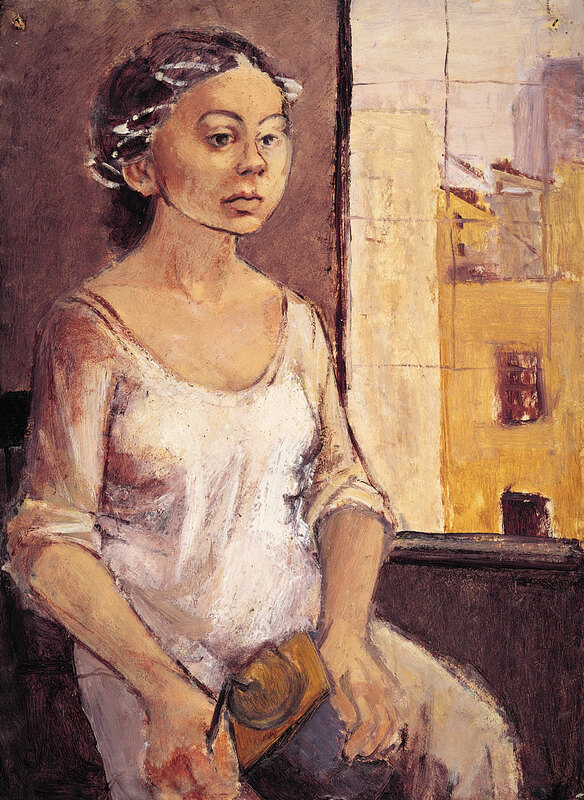 Frankfurther sometimes used herself as a model and this can be described as approaching a self-portrait. literature ed., B. Planskoy, 'Eva Frankfurther 1930-1959: Paintings, lithographs and drawings' (London: Peter Halban, 2001), illus. p.75.